The question on how plastic parts can be bonded permanently in the best possible way has been occupying the minds of experts since these materials have been in existence. LASYS, the international trade fair for laser material processing, shows what’s possible from 12 – 14 June 2012 in Stuttgart. Thermoplastic plastics have been welded using laser since the end of the 1990s but the process is still considered extremely innovative. Laser penetration welding is used most frequently in practice. Here generally one of the two components for the wave length used by the laser is transparent; the other absorbs the laser energy for example by mixing carbon black. Heat is generated in the component absorbing the energy, which is transferred to the upper component by gently compressing the two components. The parts fuse in the edge zone and form a welded seam which reliably connects the two components. Efficient diode lasers are used for the most part. Their relatively low power and beam quality are completely sufficient for fusing the plastics. 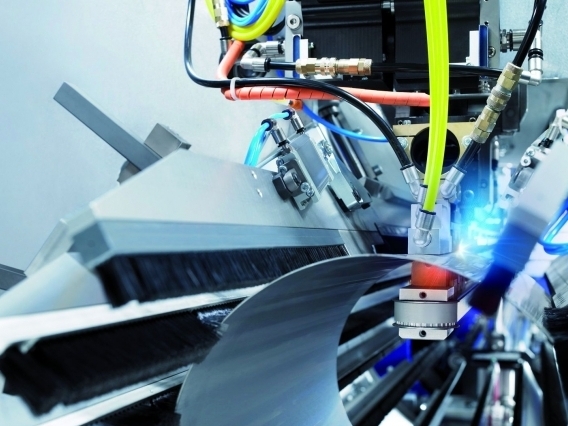 "The process of laser plastic welding differs significantly to the process of welding metallic materials", explains Frank Brunnecker, Vice President of Laser Welding in LPKF Laser & Electronics AG in Erlangen, as "the laser beam first penetrates the upper laser-transparent material and releases its energy to the lower, laser-absorbing component". The result is a clean, safe and sophisticated welded seam using a particularly efficient process, he added. Peter Bruns, Application and Technical Service Manager, LIMO Lissotschenko Mikrooptik GmbH, Dortmund, adds that "laser penetration welding permits applications that are not possible or are only possible with great difficulty using traditional bonding technology". The decisive advantage over most of the other bonding processes is the contactless, direct interaction of the laser light with the plastic, he continued. For example the rival ultrasonic welding is dependent on good mechanical contact of the sonotrodes with the plastic. Peter Bruns indicates another advantage: "Laser penetration welding makes possible visual integration of online monitoring of the bonding process, for example by monitoring the power of the diode laser, and monitoring or control of the process temperature, which is not possible with ‘mechanical’ welding processes." LIMO uses practically all known processes in welding such as contour, quasi-simultaneous, simultaneous or mask welding. At LASYS 2012 the company will show its refractive microoptics, with which customised beam-shaping such as distributions of lines, areas and circles/rings can be efficiently achieved. Bruns: "The simultaneous or parallel welding of the entire weld contour in one work step permits optimal process safety with excellent homogeneity and edge steepness through intensity profiles of the laser beam which are adapted to the material properties." An example here is the so-called "M-shaper" for contour welding with fibre-coupled diode laser systems: "The intensity profile of the laser as a round distribution, which is optimal for the welding process with an inner defined minimum, is developed." This allows the creation of particularly homogeneous, non-porous weld seams without spots and traces of corruption, as is required for example when bonding plastic foils with a very small process window. "Laser, as a valuable tool, has become an integral part of material processing, primarily in the automotive industry", states Thilo von Olnhausen, Marketing Manager, ACSYS Lasertechnik GmbH, Kornwestheim. The Barracuda laser processing system has been modified especially for welding tachometer panels, whereby the housing is welded to the transparent pane using laser, he added. "The advantage of this method", according to Thilo von Olnhausen, "is that no screws or any type of fixtures such as adhesives or clamps are required and parallel loading is made possible through the reversing rotary table." The laser penetrates the transparent tachometer pane and is absorbed by the opaque tachometer housing underneath. von Olnhausen states: "The plastic heats up to fusion point and becomes liquid in a fraction of second, the concentrated heat of the dark plastic fuses the transparent plastic of the tachometer pane so that the two different plastics are welded together after cooling." As well as metal processing, the following can also be detected among future trends: Development is heading towards more efficient and compact multifunction solutions. "A system should be capable insofar as possible of completing many tasks in one work process rationally and quickly while at the same time delivering top quality results", explains von Olnhausen. ACSYS is responding to the increasing requirements in the form of the laser processing system Barracuda Multi, which it will showcase at LASYS. This system enables the labelling, engraving, cutting and welding of plastics. It can be optionally equipped with a multihead system so it can process components on multiple sides for example. The ‘Live Adjust System (LAS)’ simplifies work even further: Using a camera the workpiece can be positioned precisely and the time and effort required during setup reduced significantly. New developments based on longer diode laser wave lengths have in the meantime paved the way for the bonding of two transparent plastics. Frank Brunnecker from LPKF: "New products with long wave lengths between 1470 and 1550 nm with sufficient laser output are available, which make possible sufficiently high intrinsic absorption in transparent plastics for shorter wave lengths so that these can be bonded." In this spectral range most plastics can absorb the laser beam also without the addition of a laser absorber. 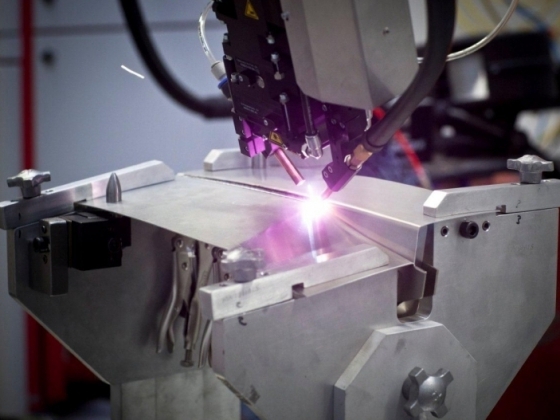 "The challenge for every laser weld lies in the coordination of the component design and material, a suitable laser welding process, as well as the proper system technology." Such transparent bonding with the highest visual requirements is becoming increasingly important, particularly in the medical industry, where particularly safe and hygienic processing is demanded, he added. He went on to say the laser process is abrasion-free and does not need any additional materials such as adhesives. Furthermore, laser welding offers several possibilities for quality assurance in the process. Bruns: "Examples include monitoring of the weld path, pyrometer control of heating the welded seam or also the patented reflection diagnostics which reliably identify the successful welding process." Approximately 200 exhibitors will showcase their innovations and further developments in laser technology at LASYS 2012 in Hall 4 from 12 to 14 June. The focus will be on laser applications and product solutions, laser production systems for micro and macro material processing, as well as precision engineering. LASYS is aimed specifically at users and providers of laser material processing. With its cross-industry concept covering a broad variety of materials it is unique in the trade fair business.